I put my New Look 6807 top on this morning, and believe it or not, most of the wrinkles are gone! The shirt hangs up a bit in the back, but I think that's the fabric catching on my pants. Bizarre! I've never had something look so horrible on my dressform and then look normal in real life--they almost always look better on her than on me. 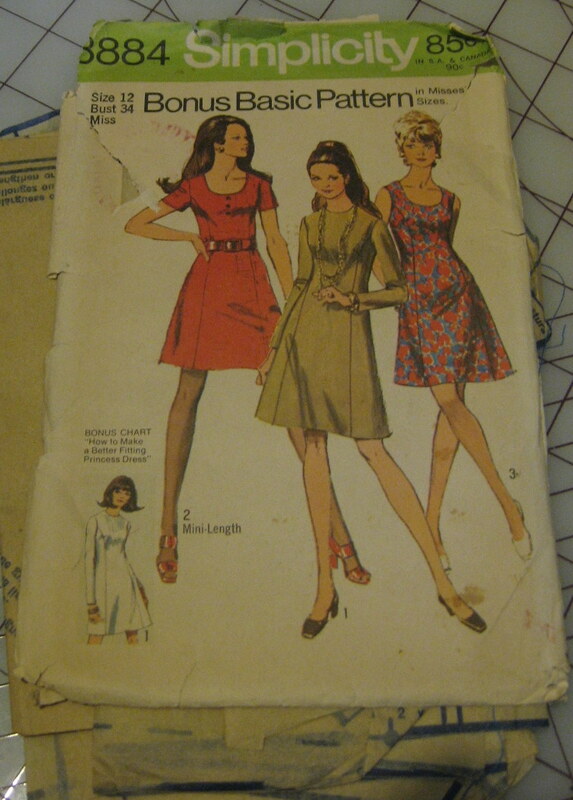 In case you were wondering, the pattern pieces are falling out the sides of the envelope--they're not underneath it. I'm not really sure what I did to this poor pattern envelope, because I'm pretty sure it didn't look like this when I got it. Oh well. Since, as I mentioned, this pattern is too big for me, I wound up altering every single pattern piece except for the sleeves. So I have a whole bunch of tru-grid pattern pieces that wouldn't have fit into the original envelope anyway. I keep them in a plastic ziploc bag, along with the instructions, the pattern shred-velope, and the real pattern pieces. Absolutely! Putting a photo up now.